We have no records of a contribution corresponding to this public key hash. Please make sure that you have entered the correct public key hash into the field above. Enter a public key hash into the field above to check its recommended allocation in the Foundation’s genesis block, which may be found here. Blinded keys, not public key hashes, are the keys that appear in this genesis block. 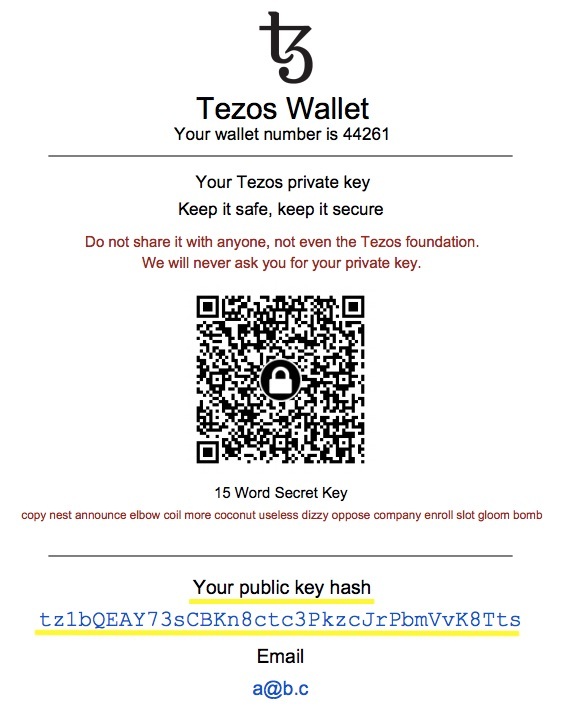 The blinded key of a public key hash from the fundraiser may be revealed by using the Activation Tool. Fundraiser contributors may contact contribution.check@tezos.com for support. Copyright © 2018 Tezos Foundation.